The new iPhone has not been announced. It is not available for pre-order. It does not have a ridiculous see-through screen. 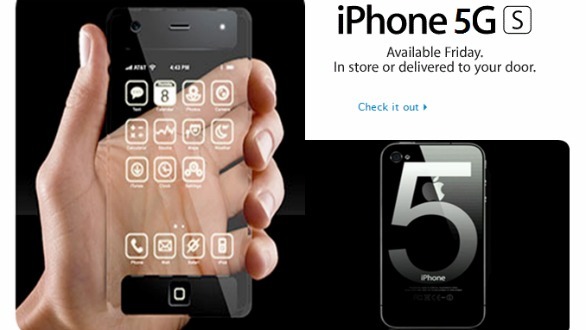 It is not called the "iPhone 5G S" and it's (probably) not going to be available this Friday. 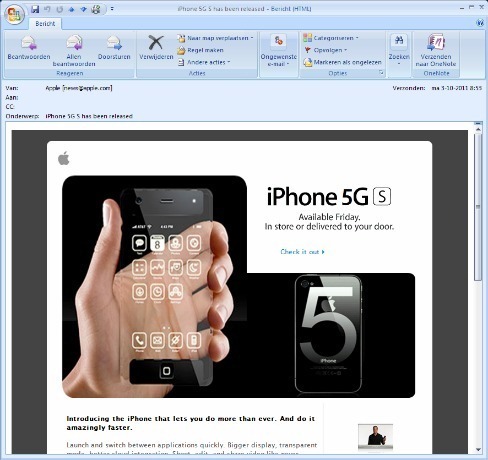 So if you get an email with the subject line "iPhone 5G S has been released" that contains what appears to be marketing from Apple, don't fall for it. Technology journalist Abram Wagenaar received such an email in his inbox and posted a screenshot to Twitter (see below). Aside from the fact that the phone hasn't even been announced yet, there are several other warning signs: the see-through display, the weirder-than-weird naming scheme (iPhone 5G S) and the insanely big "5" on the backside of the phone. "Clicking on links in the email takes you to some Windows malware (lucky Mac fans are being ignored by the hackers on this occasion) which Sophos detects as Mal/Zapchas-A." 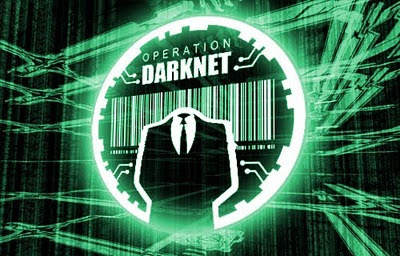 If your computer has become infected by Mal/Zapchas-A, you run the risk of having your machine remotely accessed by others. However, it appears that most common anti-virus programs are able to remove it. I go this email and clicked on the link, what should I do now? Please help.